It might be nice if pizza grew on trees—but it definitely doesn’t, as much as you might wish for it! Good pizza comes from a long history and love affair with the food, which is exactly what happened for Pizz’a Chicago founder Theo Reynolds. When Theo was a young boy in Chicago, he had never tried pizza but often smelled it wafting from a pizzeria located near his family’s house. Thanks to the son of the pizzeria’s owner, Theo tried a slice of sausage pizza and the rest, as they say, is history. From his humble childhood in Chicago, Theo eventually opened the best place for Chicago-style pizza in Palo Alto with co-founder Art Harris. 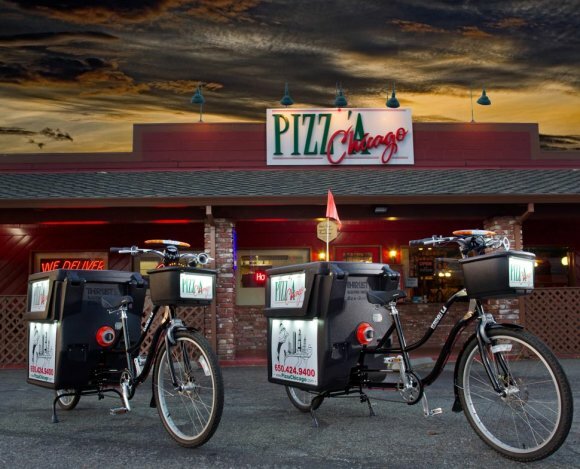 That was 16 years ago, and Pizz’a Chicago is still proud to be serving up delicious pies with quality ingredients that you and your family will love. While we offer a large variety of toppings and specialty pizzas, you can also keep it simple and try a sausage and cheese pizza to pay respects to Theo’s initial discovery.